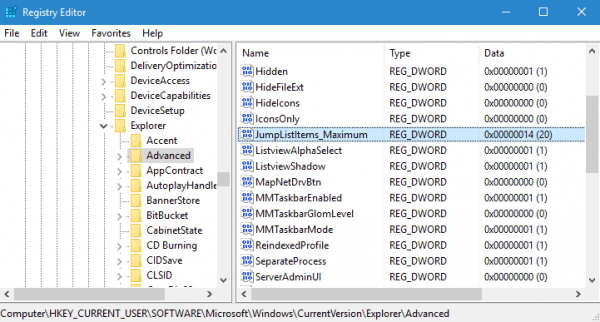 Jump Lists is a new feature in Taskbar since Windows 7 that gives the user quick access to recently accessed application files and actions. 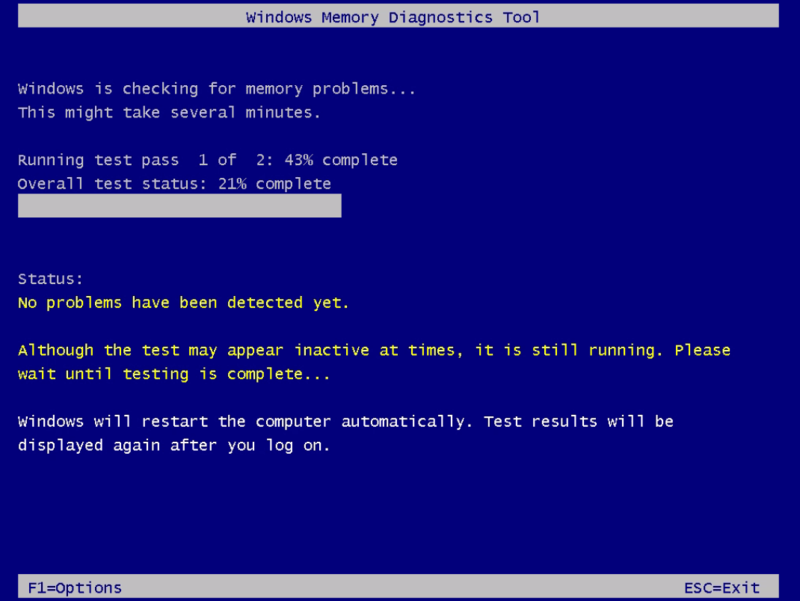 They are menu options available by right-clicking a Taskbar icon or holding the left mouse button and sliding upward on an icon. Each application has its own Jump List corresponding to its features. 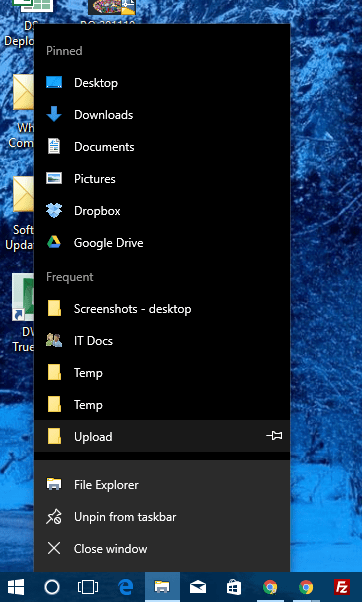 For example, Microsoft Word or File Explorer lists the recently opened files, Internet Explorer or Google Chrome displays the recent browsing history and options for opening new tabs or starting InPrivate browsing, etc. Because there are recently accessed items listed in the Jump Lists, you may have some concerns about the privacy and want to either disable or remove these items from the list. 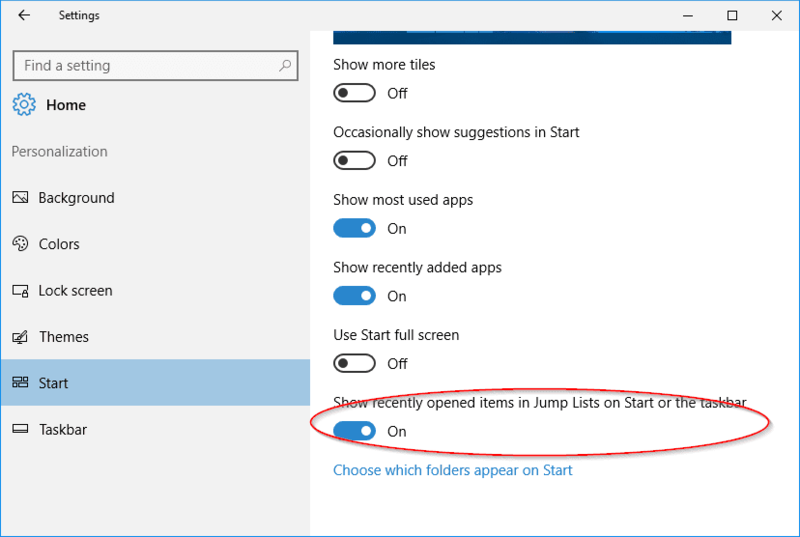 To disable Jump Lists feature in Windows 10, go to Settings app → Personalization → Start, and turn off the setting “Show recently opened items in Jump Lists on Start or the Taskbar“. If you want to leave the Jump Lists feature on but just clean up the list, you can simply disable the feature in the Settings described above and re-enable it. 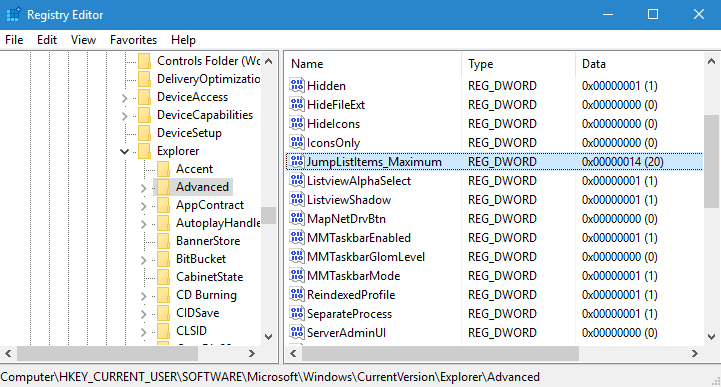 You can also increase or decrease the number of items in the Jump Lists if the default maximum 11 items are enough for you with a quick registry tweak. And create a new DWORD (32) Value called JumpListItems_Maximum and set its value to the desired number of items you want to show in the Jump Lists. The change takes effect right away, as you can see from the screenshots below.